I figured I would stop taking over other threads answering questions about the OMD business structure/plans/roadmaps/expenses and put this one place. So I’ll put it here. This was a super high income month, which I am relieved about because I am about to take on more expenses as I start paying for freelance articles, and since I am not working as much “active” work in March. I pay quarterly estimated taxes on my business income, so I save 30% of my net (after expenses) income in a separate account. 6 weeks into operation of the forum, we’re now getting 83K pageviews a month, about 10K sessions. This is firmly in the “wow” category. We’re also doing excellently with user retention despite the fact a lot of Billfolders left. We already had to move site backups to a larger server. Part of the downside of having easy photo upload is that photos are big in aggregate when you back up regularly. If you’re curious about demographics, we’re 85% US-based, and google analytics reports that 75% of forum users are women. Anyway gender is a social construct. I still need to work on getting these amazing freelancer pieces up; I’ve been out of the country and haven’t been prioritizing editorial planning. A reprint (typos fixed yay!) of Get Your Money Together. This involves a pre-order campaign in order to secure the 5K needed for printing (likely on Kickstarter), but luckily the wholesalers have agreed to pre-buy a lot of books. We have a few sponsored posts. A better ohmydollar.com that focuses a lot less on me (Lillian) and more on the content. This will hopefully help with discoverability and SEO. A lot more long-form guides. 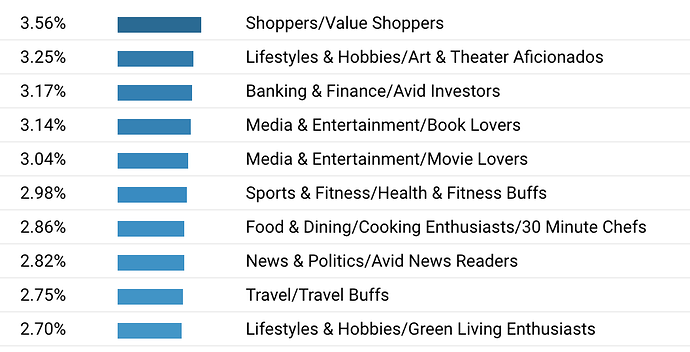 We have a few guides debuting in the next few weeks including a comprehensive 2019 budgeting app roundup with reviews. I’m looking forward to your upcoming projects. And hope that you get some good rest in there, too. Word. I would be more interested in the precise variety of queer many of us identify as. Dunno if Google has those analytics. Does not, sadly. I mean, I guess I’m super glad google hasn’t figured out how to figure out my sexuality from my browsing behavior, but if they had, it could’ve cleared a lot of things up for me as a teenager. We could do a survey/census at some point though! I love our interests though. Entirely predictable. Wondering if there’s a setting to automatically shrink photos down when you upload them? No one really cares about having giant photos, we just want to see pics of kitties and pups. Software already automatically shrinks photos, but kept the OG size as well. We (by which I mean @aaronpk) fixed that already! I’m wondering which of these categories is me. I have absolutely no idea what google thinks I am. Not shopper or either of the media/entertainment ones, but any of the rest could sort of fit. I’m guessing Google thinks I’m male based on percentage of searches that are for parts for tractors and diesel engines. Also combat boots. I was thinking about this, should we be using imgur or equivalent where possible? Also, I wouldn’t object to a few discreet ads? No! Please don’t worry about this. I want this to be nice to use not annoying. We moved servers for the time being and fixed an upload setting and it’s all fine! Proceed as normal. Around ads: possibly soon. We might test out with ads for oh My Dollar stuff that I can control before implementing AdWords or a network. Considering I was on vacation for 2/3 of the month, not bad. Ah ok, I’ll still resize and worry about using all the megabits. I’ve got a lot of hangovers from the early days of personal computers and the Internet. Our first computer might have had a whopping 400mb storage. Similar issue I still worry that text messages cost too much money and voice calls are even more expensive. (Even though everything is unlimited and my work pays). Although, every cat and dog photo while ‘digital’ does have to have a physical corresponding aspect somewhere. Excuse me while I go down the rabbit hole of data storage centres and their energy consumption. The cloud is a lie!!! It’s just mega data centres!